Aconitum Napellus by Boiron is great to take before surgery. Very good remedy for the flu season. Takes the severity out of a high fever. Aconitum Napellus from Boiron® could induce sweat and help reduce high fevers. Also known as monkshood‚ Aconitum Napellus is a perennial herb with beautiful lavender flowers. It is an important herb in homeopathic remedies that may strengthen the adrenal glands and kidneys. 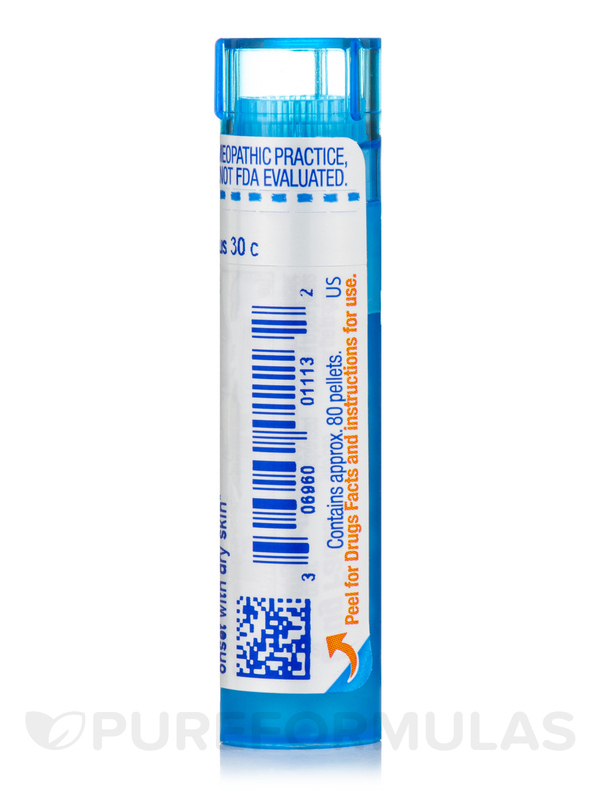 This homeopathic remedy from Boiron® comes in the convenient form of pellets. It may exhibit anti-inflammatory properties to benefit your body. This remedy may also have an analgesic effect‚ because it could relieve pain. Aconitum Napellus may also have powerful antioxidant properties that can prevent or reduce the impact of harmful free radicals. This could also slow the aging process. For adults and children two years and older‚ it is recommended to take 5 pellets of Aconitum Napellus from Boiron® under your tongue‚ three times a day‚ or as directed by your doctor. 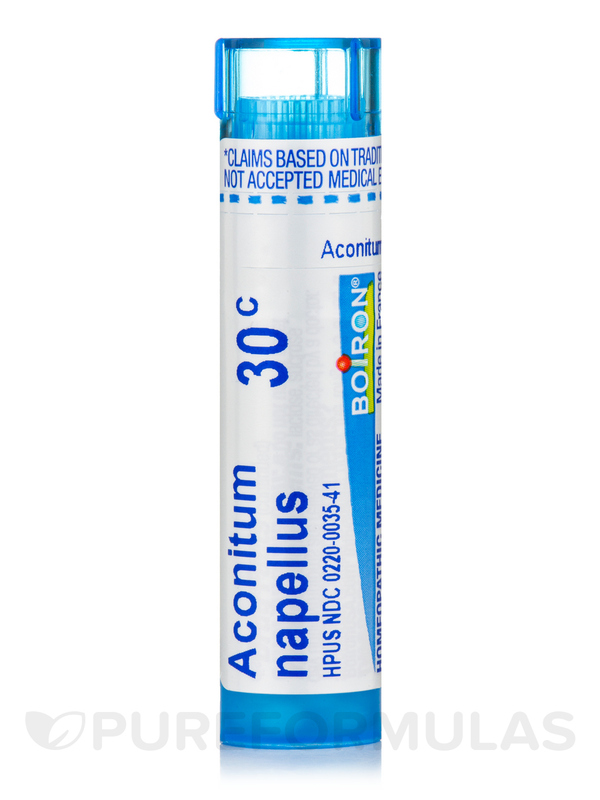 Aconitum Napellus 30c by Boiron is a great medicine to have if you ever feel you are coming down with cold/ cough/ fever. This is my to go especially in this season. I use Aconitum Napellus from Boiron for any symptom that comes on suddenly like cold or the first sign of flu. Any time I feel frightened or stunned this remedy takes the restlessness away. Works wonderfully. We take Aconitum Napellus 30c by Boiron as soon as we feel any sign of sickness coming on! Seems to work great for me and my family! 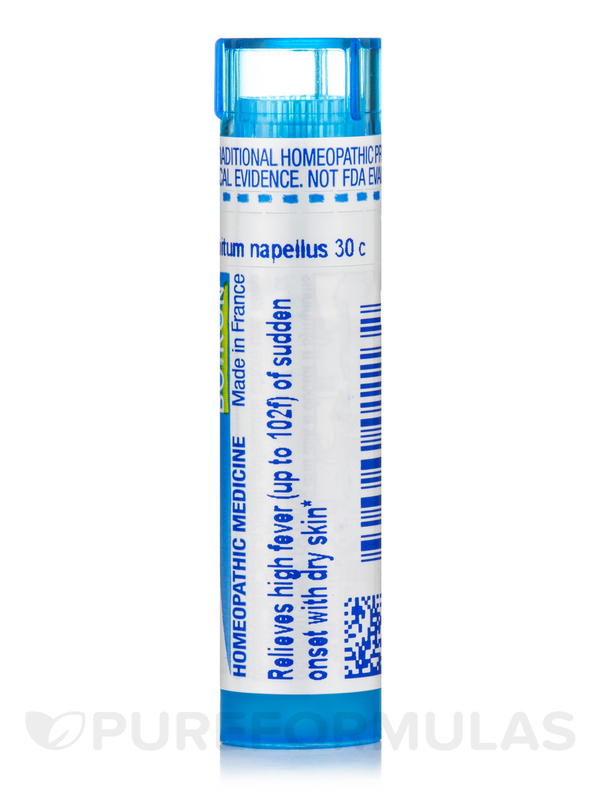 This Aconitum Napellus 30c by Boiron remedy is one that I keep stocked & make sure I have it with me at all times! I also give it away to family members & friends (it was a great stocking stuffer). It is the one remedy I go to if I feel a cold or sore throat coming on. Within one dose I am dramatically better, 9 times out of 10. THE FLU NEVER CATCHES ME! At the first sign of any sickness, whether it is sudden fatigue, a scratchy throat, a low-grade fever, or a sudden dry cough, I take 2 or 3 doses of 5 pellets under my tongue every hour, and I never get any sicker. I love Aconitum Napellus 30c by Boiron, and I'm never without it! It is completely safe and very effective, with a low price tag to boot! I have used all potencies...200C, 30C, 30X...all are effective. An Aconite a day keeps the Doctor AWAY! I dislike the FDA's plans to make all homeopathic remedies illegal. Fools they are! Stock up now and be prepared! My senior dog (17) is blind and losing her hearing and has panic attacks, stress paces and barks at any strange smells. I did a little research and started her on Aconitum Napellus 30c by Boiron giving her 3-4 pellets twice a day. There is a drastic change. She is less stressed. Aconitum Napellus 30c by Boiron is my go to remedy for symptoms that appear suddenly and has been helpful many times! I keep one in my purse, at home and share with family. Works usually with one dose. I give Aconitum Napellus by Boiron to my son to help with breathing episodes it makes a huge improvement with in minutes.